This example show how File.getCanonicalPath() different from getPath() and getAbsolutePath() in Linux to open soft-link file. getPath() converts this abstract pathname into a pathname string. getAbsolutePath() Returns the absolute pathname string of this abstract pathname. 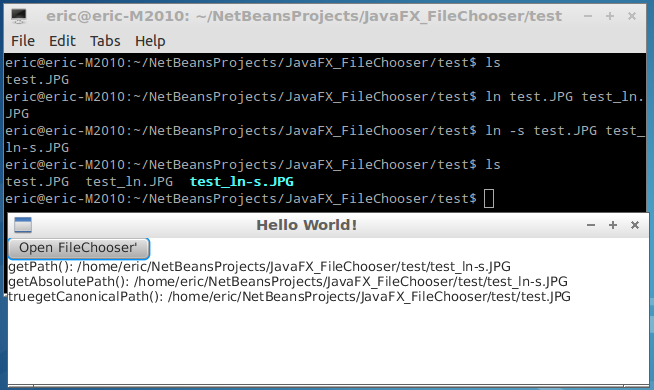 Enter the code to implement FileChooser of JavaFX to select file, then get its Path, Absolute Path and Canonical Path.